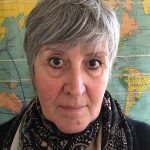 Whilst leading a life of adventure facilitating arts projects in Morocco, Beechworth artist Rita Lazauskas creates observational drawings, paintings and prints exploring the very rich and interesting environment of a place that has become the artists second home. Perched on the north west corner of Africa, Morocco has an ancient indigenous population – the Amazigh (Berber) people – with a strong culture that still survives millennia of invasions and colonisation, the strongest being the Arab Islamic overlay introduced in the 7th century and most recently the 20th century French occupation. Providing a visual feast of African, Islamic and Indigenous influences, the medieval architecture is now peppered with satellite dishes and a network of electrical cables and wiring that brings the new world media to the masses. Constantly traveling to and from Marrakech and following the ancient trade routes across the Atlas Mountains to the Sahara has enabled an engagement with the landscape and people and an opportunity to set up a mix of natural, cultural and perceptual streams in the work. Travel abroad gives us the opportunity to experience the ‘other’ and the complexities of human existence. 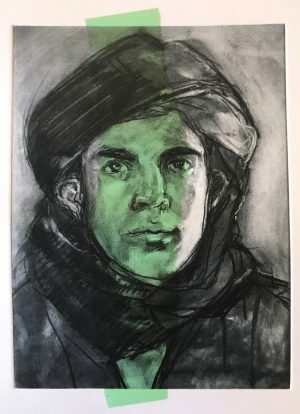 The many traditional artisans working in Morocco challenge our notions of art as something separate from everyday life, while working alongside other visiting contemporary Australian artists, has also allowed for the development of new sensibilities, media and expression in the work. The immediacy of working from life, the daily record that includes capturing the moment in an often raw or fleeting glimpse, is coupled with an adept hand – sometimes compulsive, sometimes obsessive in its style and form. 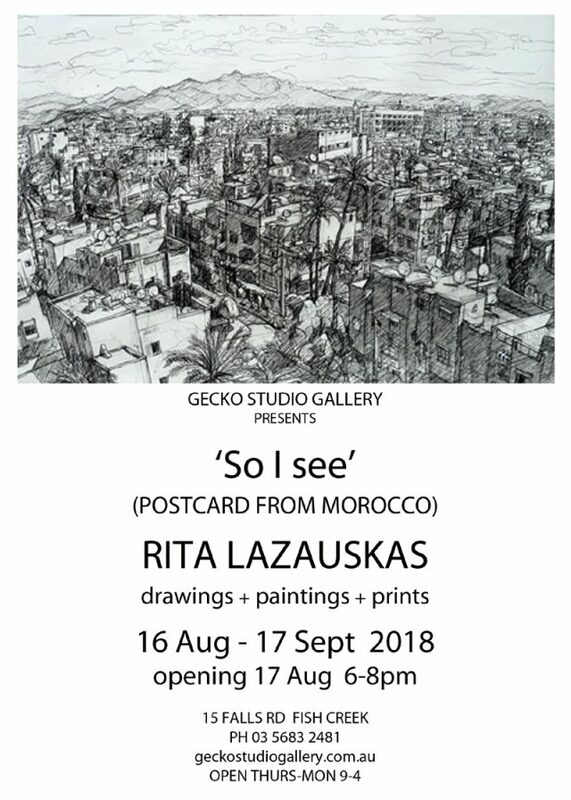 The ancient Medina or suburbs of Marrakech provide just the kind of chaos that suits Rita’s distinctive drawing style, capturing the energy and life of the place and it’s people. Once outside of the city the landscape puts on a new show and age-old traditions persist. Laying in a part of the world known literally as ‘Maghreb’ (the west/where the sun sets), Morocco presents an unusual precedent as it seems to straddle the divide between East and West. Recent developments in the Arab world make this an opportune time to investigate the interface between Western culture and Islam and work towards developing a greater understanding to enable harmonious relations in the future.